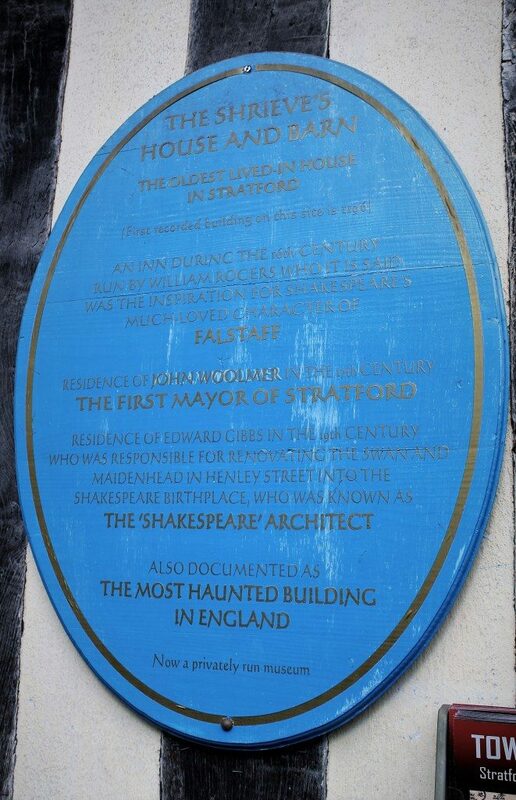 Stratford-upon-Avon, the birthplace of William Shakespeare, and arguably one of the most haunted towns in the United Kingdom. Visitors to this charming riverside town cannot help but be transported back in time. With its Tudor-fronted buildings, winding streets and flower-gorged frontages, Stratford-upon-Avon is quintessential historic England. 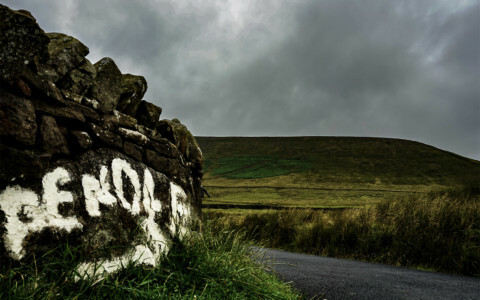 And, as with any place that oozes tales of long ago, local stories of ghosts and hauntings can be found there in abundance. 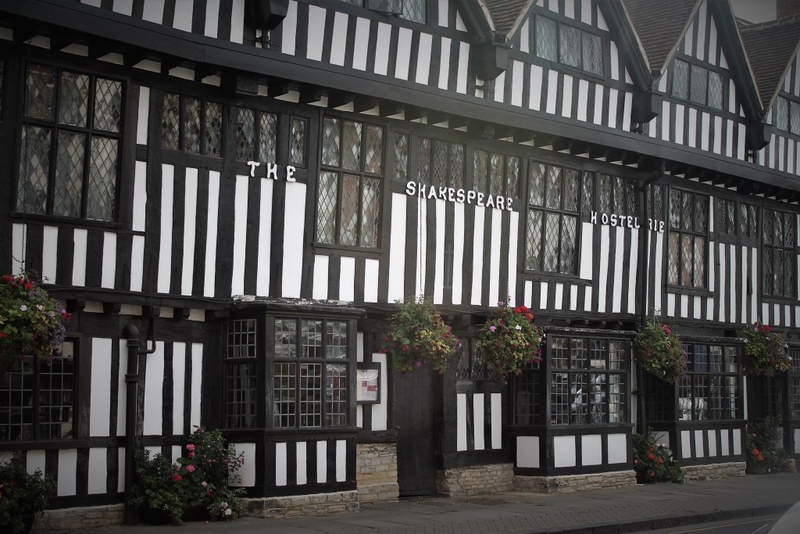 Once known as The Shakespeare Hostelrie, The Shakespeare Hotel (now owned by the Mercure hotel chain) is a beautiful four-starred establishment, located right in the centre of the historic town. The building’s timber-frames and leaded-glass windows immediately conjure up imagery of 16th century England, replete with suitably quaint Tudor characters going about their daily business. Indeed, such hustle and bustle would have been commonplace for this medieval market town. However, beneath its layers of historic enchantment, there are darker stories waiting to be told. One local tale relates the life of Lucy, a 14th century girl who worked the streets of Stratford-upon-Avon as a pickpocket. After a hard day thieving, she would return to the place she called home – the building which is now known as The Shakespeare Hotel. Home for Lucy, however, was far from a place of domestic refuge. It is said that she was sexually assaulted by her uncle, who, one day, murdered the unfortunate girl. Her uncle supposedly bricked Lucy’s body into the walls of what is now room 203. In the present day, chambermaids of the hotel are scared to enter that room. For some time, they even refused to clean the room unless they were allowed to do so in pairs. One time, due to a shortage of staff, one maid agreed to enter by herself. Within just a few moments screams were heard. The woman emerged, terrified, and covered in scratches. Apparently, Lucy had been bricked up in the wall alongside her pet cat. Another tale relating to room 203 concerns an air hostess, who stayed at the hotel overnight after flying in to the nearby airport. She dined at the hotel, then went to bed. In the middle of the night she awoke to see the shadowy figure of a girl in the corner of her room. The air hostess’ instinct to be a caregiver kicked in. She left the bed to see if the child needed her help. However, by the time she did so, the shadowy girl was gone. Troubled that there may be a lost child in the hotel, the air hostess went downstairs to reception to ask if there were any families staying at the hotel who may be missing a child. Upon inspecting the registrar, the hotel concierge informed the confused lady that there were no families checked into the hotel that night. A short walk along Sheep Street brings you to the door of The Shrieve’s House, a building listed as being of particular historic interest whose foundations date back to the late 12th century. To the right of the front door is the entrance to Tudor World (also known as “Falstaff’s”), an independent and award-winning museum. Once again, timber-frames and cobblestone delight the eyes of the passing history zealot. Once again, grim tales of darkness and death await revelation. In the lead up to the Battle of Edgehill of 1642, the first pitched battle of the English Civil War, a group of Parliamentarian-purchased Dutch mercenaries used the building as a barracks. During this time, it is said that a local boy by the name of Lee took an interest in the foreign soldiers. 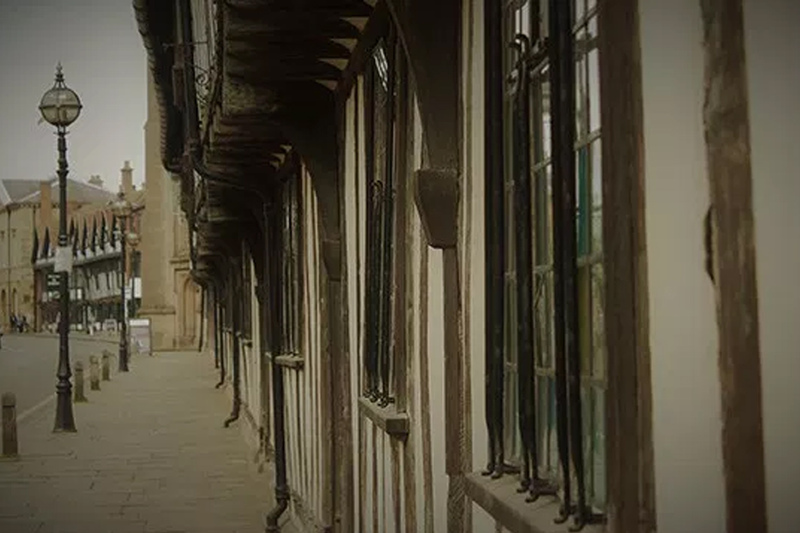 Only fourteen-years-old, their coming to Stratford-upon-Avon fascinated and awed the inquisitive child, who would often watch their movements from the inn across the road. As battle approached, however, the fear and paranoia of the soldiers increased. First words were whispered that Lee was a Royalist spy, tracking the movements of Parliamentarian forces. Next, the boy was snatched and interrogated. Then, he was tortured. Spurred on by fear for their own lives, it is said that the Dutch mercenaries killed the boy. Strangled with a length of rope, Lee’s body was hung from the upstairs beam of the building, directly above the staircase. He remained there, limp and gone, until the mercenaries’ commander cut him down. Horrified at what his men had done, he had Lee’s body hastily buried downstairs. In the 1800s, the owners of the building started renovation work and had the foundations dug out. About three or four feet down, they found a shallow grave. It was not too wide and not too deep, and contained the mangled remains of a teenage boy. It is said that his bones had been badly broken and snapped in many places, as the body was hastily squashed into the small grave. Today, staff report that visitors to the museum experience a sinking sensation when standing over the area where Lee’s body was found. So haunted a reputation does the building have, that the museum and the Shrieve’s House have attracted ghost hunters in the past, including the controversial Most Haunted Live! team in 2004. 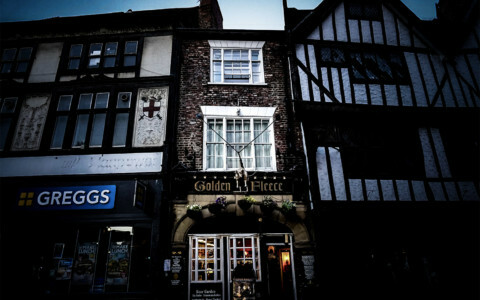 Another building in the heart of the town said to be haunted is The Garrick Inn. Whilst the precise date of its construction is not known, the current building is generally considered to have been built in 1596, with parts dating back to the 14th century. 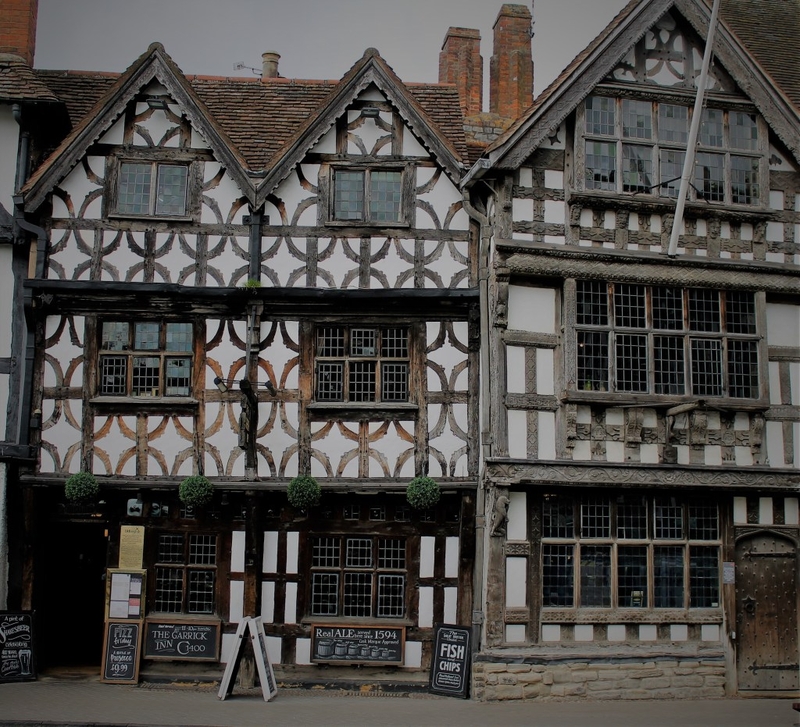 This makes it one of the oldest buildings in Stratford-upon-Avon, and with age comes a rich history. Although the current building did not vend its first ale until 1718, a building which stood on the grounds prior to its 1596 construction also functioned as an inn. It is thought that a bout of plague originated from this earlier inn in 1564, after Oliver Gunn, a weaver’s apprentice, died of the illness there. The words “hic incepit pestis” (“Here begins the plague”) are scribbled next to his burial entry. Contemporary with William Shakespeare, the dreaded disease claimed the lives of over 200 people in the town (about one fifth of the local population). 1Ridgway, Claire. “11 July 1564 – The Plague hits Stratford-upon-Avon”. TudorSociety.com. Retrieved 17/10/2017. A history of fatal fires are also reported as being connected with the inn. 2“Old English Inns – The Garrick Inn”. OldEnglishInns.co.uk. Retrieved 17/10/2017. With such a dark, death-stained history it is no surprise that the building has a tremendous reputation for being haunted. It is said that many of the pub’s former occupants still visit from beyond the grave, unnerving staff and patrons alike. 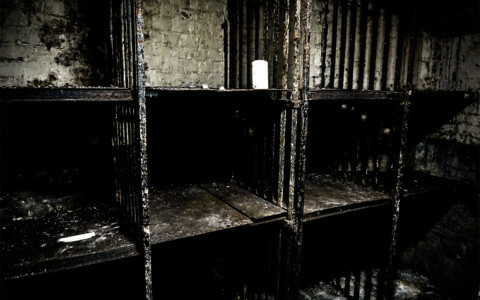 There are even local rumors of a tomb being found recently within the basement of the building, which caused the disturbance of a lingering spirit. 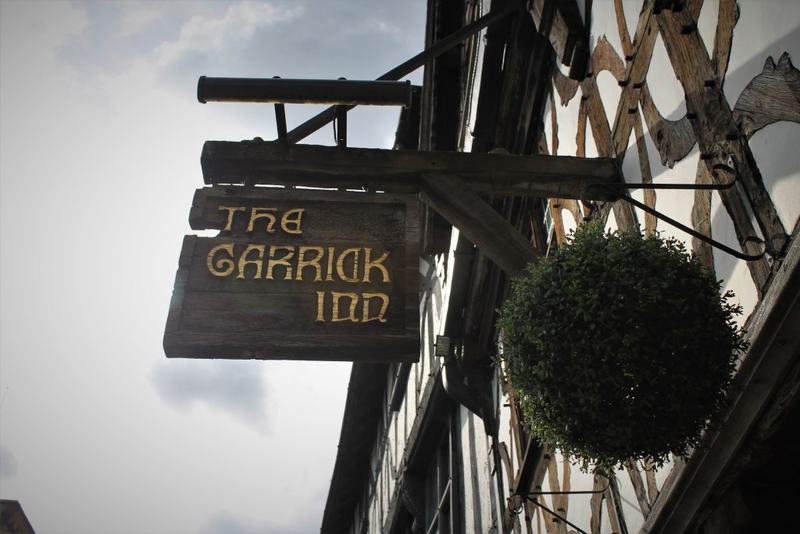 Whatever the truth of the matter, The Garrick Inn, along with many other buildings in the town, are known by locals and visitors alike to be places that, once the sun sets, you dare not remain for too long. The legend of Room 203 was related during a Stratford Town Ghost Walk. The story of Lee was told during a Ghost Tour at Tudor World Museum. 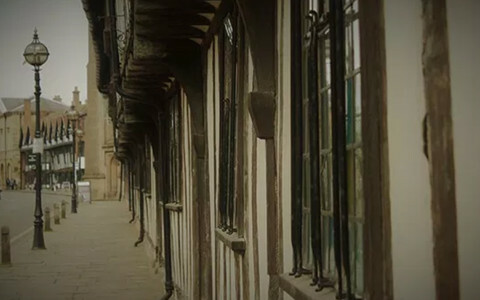 If you are interested in hearing more ghostly tales of Stratford-upon-Avon, both of these tours are highly recommended. Falling more strongly on the side of skepticism, Laura’s passion is for the details. She is fascinated by the culture, implications and psychology of strange phenomena. Some of Laura’s main interests are parapsychological experiments; the paranormal in history and folklore; and, haunted locations. Check out Laura's other work over at The Paranormal Scholar.